Animated postcard with growing bush flowers. This will do for anniversary and greetings. Just replace Picture and Text with any you like. 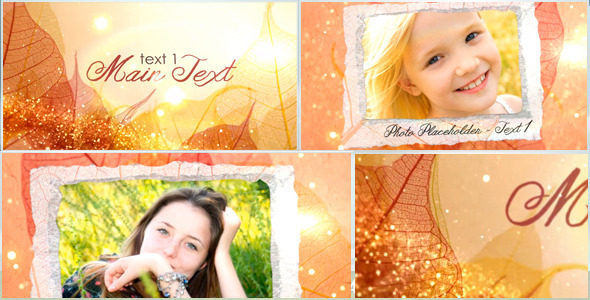 A simplistic text reveal with beautiful autumn leaves falling. No additional plugins are needed. Compatible with CS4 or newer. 1080p 24fps with pre rendered leaf animations Text can be fully customized. Add your own message and change the font or color. This template also looks great with your own logo dropped in.